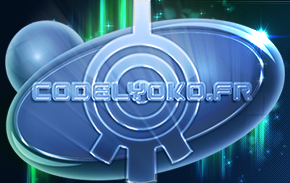 A little game with a time limit while walking across the sectors of Lyoko to find our favorite virtual human to lead her to the tower. Find Aelita and take her to the tower. 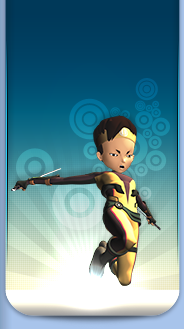 You must move around in a virtual maze within the sectors of Lyoko to find Aelita and bring her to the tower. This must be accomplished before the time limit runs out. Cubes of various colors are scattered along your path. You need to pick up the light ones and avoid the dark ones. The light blue blocks give a 3 second bonus. The pink blocks give a 5 second bonus. The red blocks give a 5 second penalty. The black blocks inverse the directional buttons: the left key will go right, and vice versa, which will last for 5 seconds. The background elements (trees, rocks) are not obstacles, but walls of the maze. 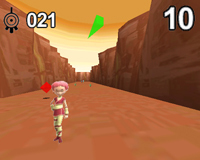 Aelita is represented by an image of herself hidden somewhere within the sector. When you pass over her, a window will appear to tell you that you need to take her to the tower. The starting character that you choose has nothing to do with the mechanics of the game. The big, green arrow at the top of the screen will guide you toward your objectives. The game has three difficulty levels. The first takes place in the desert sector, the second in the mountain sector, and the third in the ice sector.